Science shapes planetary surfaces in ways more weird then any science fiction show ever imagined. Explore the strange and awesome features of our solar system with Earth or Not Earth; an educational application brought to you by CosmoQuest. Explore three different games filled with volcanoes, craters, ice, and the unusual. While these games may be challenging at first, they will become easier as you familiarize yourself with the educational provided in the app. Get the app today! All proceeds support CosmoQuest. About a year ago, Moon Mappers co chair, Irene Antonenko completed an amazing set of vocabulary cards that we’ve had on CosmoQuest as part of our educational materials. While stunningly beautiful, they just haven’t gotten the attention they deserved. When I saw the cards, my first thought was, “These need to be made into a mobile app. Today, Joseph Moore made my thought into reality, and released Irene’s cards packaged in a great new educational game for you to enjoy. As everyone on our team learned, the games are really (&%Y# hard if you don’t take time to read through and learn the vocabulary. Overtime, we hope to release expansion packs of cards, and more apps that both allow you to do science or learn science. The doing science apps will always be free. The learning… those are going to sometimes come with a price tag. 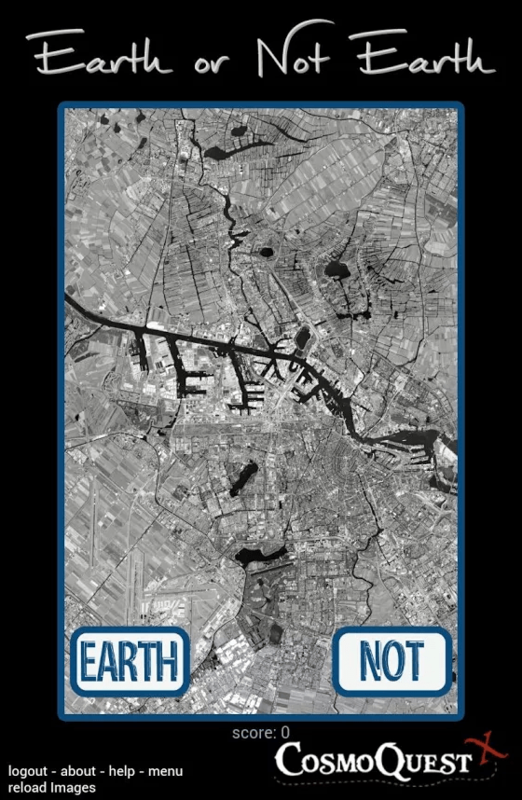 The Earth or Not Earth app is $1.99. All proceeds (after Google takes its cut) support CosmoQuest. 4 Responses to Got Earth? iOS version in the works? Yes! We hope to have it out in the next couple weeks.